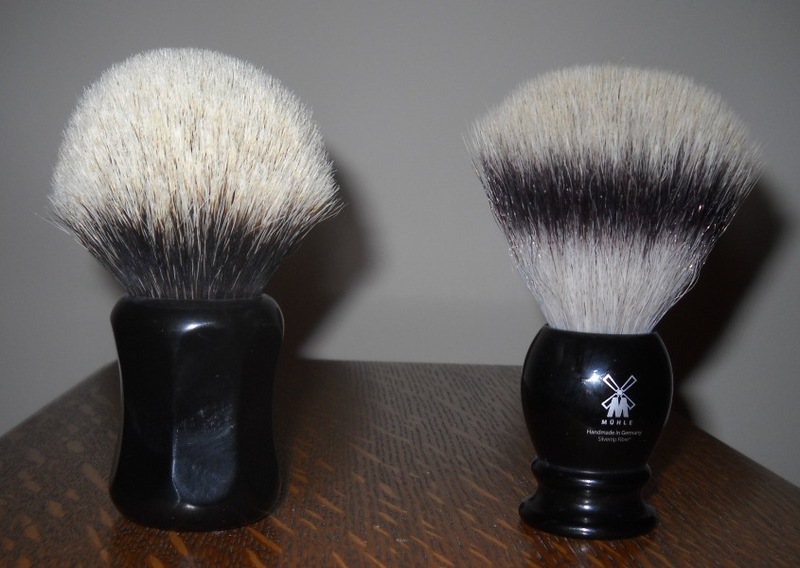 BOTH BRUSHES HAVE BEEN SOLD - THANK YOU! 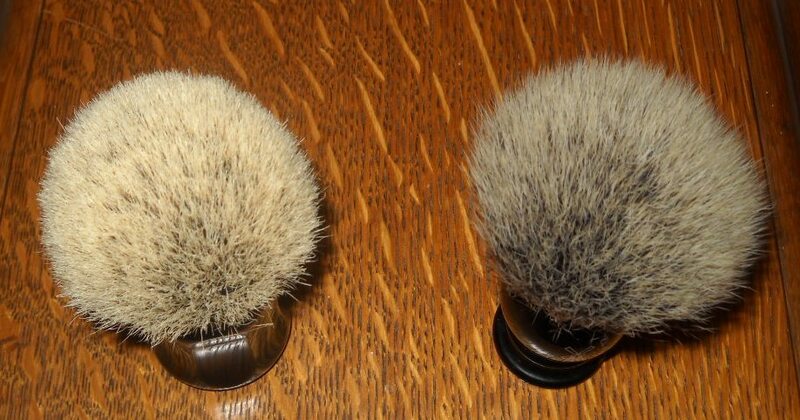 I have two more beautiful brushes for sale. Prices include conus shipping. SOLD The Muhle 35-K-256 is made with the newer V.2 synthetic fiber. The knot is 25/26mm diameter. I used this brush only once. I am selling it is because the handle is just too small for me. Price: $45. The Thater 4125/4 is a big brute with a 31mm knot diameter and 58mm loft. If you think all Thaters are super-soft with wimpy backbones, this brush will change your mind. It has very good density with a solid backbone and a bit of scritch. I have used it less than ten times. New retail is $215, your price is $170. I have the original boxes for both brushes. Very nice brushes Bob, GLWTS! That Thater is HUGE!